RapidILL is a world-wide inter-library service. 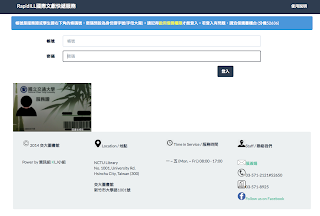 We designed an user-friendly and responsive webpage for our users and let them type in as less data as they can for National Chiao Tung University Library. 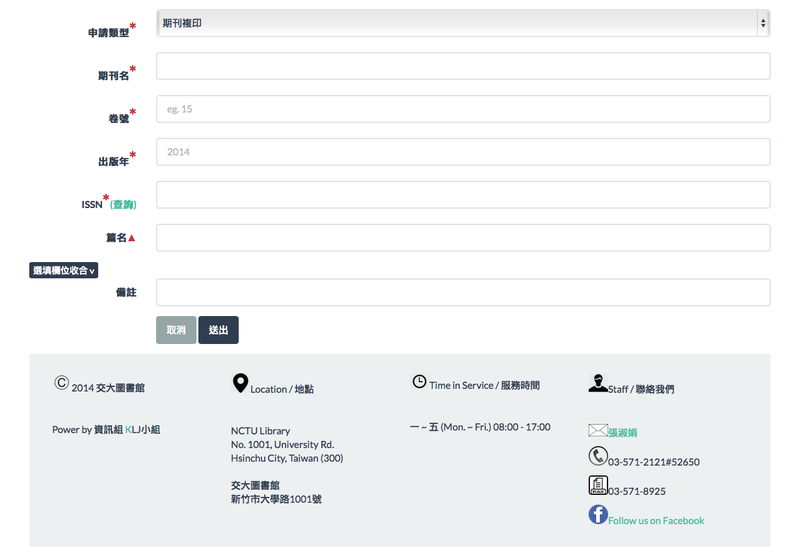 Therefore we use drop down boxes to collect some optional columns.